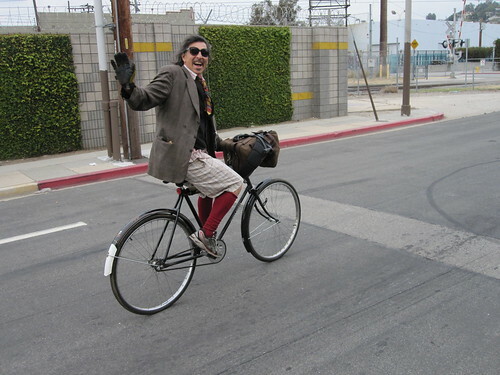 Join the Flying Pigeon LA bike shop on our last ride of 2014! Meet on Sunday, December 21, 2014 at the shop (located at 3404 N. Figueroa St., Los Angeles, CA 90065) at 10 a.m. The ride departs at 10:30 to a local restaurant for brunch and returns around 1 p.m. The Get Sum Dim Sum ride is free of charge (well, you have to pay for the food! ), requires no reservations, and is slow-paced. The point of the ride is to cruise, enjoy good food and good company in this beautiful metropolis. Bring a working bike and some cash (we try to keep it to $12 and under per person when we get dim sum). There is more info on our Shop Rides page here.